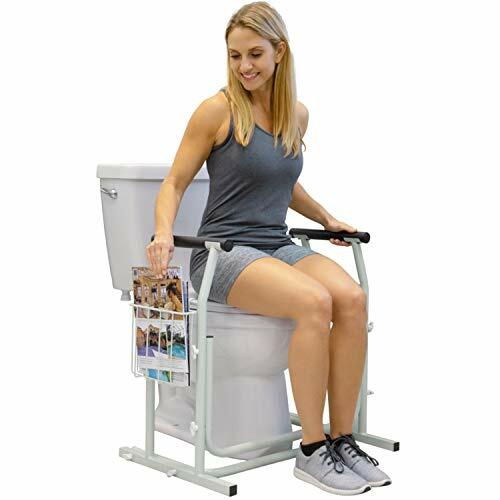 Medline G30300H RAIL,TOILET,SAFETY,GUARDIAN,EACH Physical Medicine/Rehabilitation Toilet Aids, Aids to Daily Living RAIL,TOILET,SAFETY,GUARDIAN,EACH Toilet Seat Frame. Handles Are Adjustable And Rotate Back For A Wide Range Of Comfortable, Secure Positions. 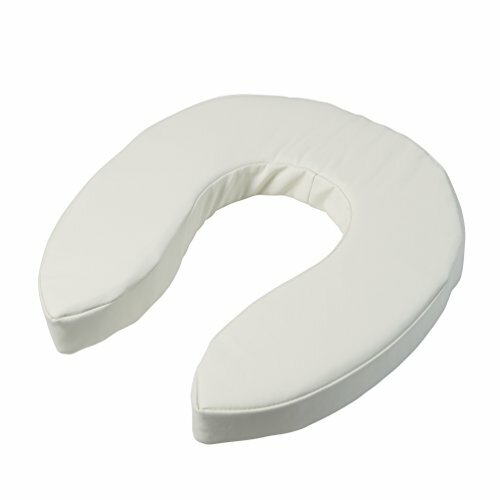 Closed Cell Foam Armrests For A Comfortable, Sure Grip. " Adjustable Height 26" - 31" (66-74 Cm) Fits Standard Or Elevated Toilet Seats. Easy-To-Clean Aluminum Frame Mounts Securely Onto Bowl With Adjustable Bracket 18"-24" (46-61 Cm). Weight Capacity 250 Lbs. (114 Kg). 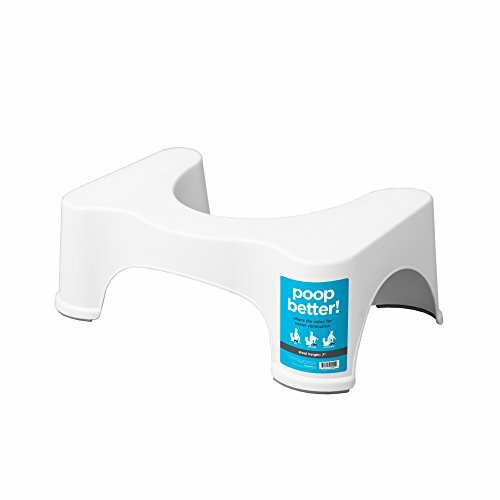 The Squatty Potty toilet stool puts your body in the natural position for optimal elimination. 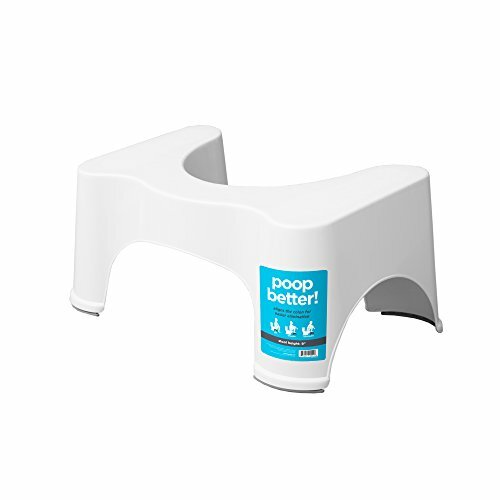 This doctor recommended stool helps you poop better with a more complete elimination. The Medical Stand-Alone Toilet Safety Frame and Commode Rail provide sturdy support for individuals with special needs making their trip to the bathroom a safe one. Elderly or individuals with limited mobility, arthritis, balancing issues, back or knee injuries will be able to use the toilet independently. 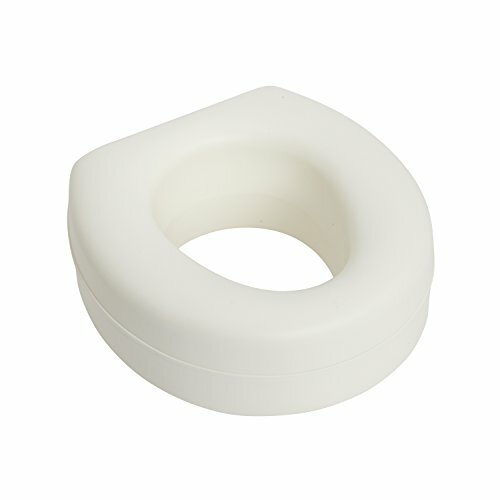 The toilet handrails for seniors prevent slips and falls for peace of mind. 1) Tool-Free, Easy to assemble in 2 minutes. 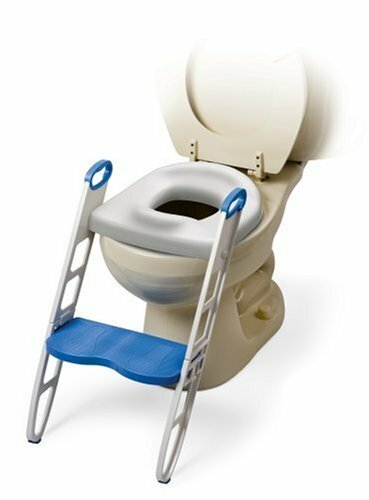 2) Fit Any Toilet: The toilet safety rail can be used with any toilet, whether standard or elongated. 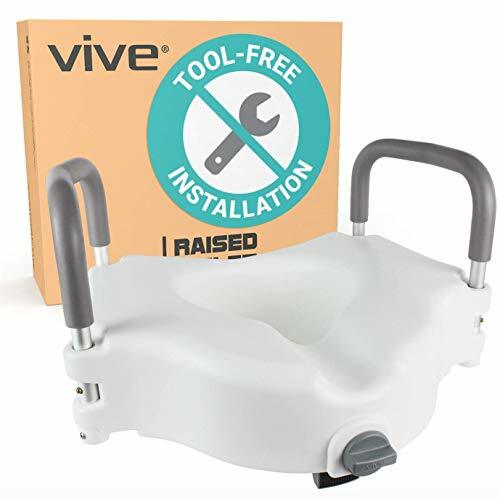 3) Adjustable and Foldable: The rail handle height is also adjustable from 24" to 31"
4) Constructed with a corrosion-resistant aluminum frame, this compact safety toilet rail supports up to 300 pounds. 5) Rail handles are padded with a soft rubber for superior support. 6) Each outside leg is capped with a non-skid, non-slip tip for a safe and secure experience. 7) Easy to clean: Handles and frame are also easily cleaned by wiping down with a standard disinfectant solution. 8) Lightweight and Durable; Years of dependable use. Do not use one handle for stability; the toilet safety support may fall. Please press down on both handles evenly when using them to help you sitting on or standing up. 2. It is very sturdy. The handle bars make is effortless to get up and down. Secure, Easy to Use Our Toilet Safety Frame is FDA cleared, the highest standard in medical Bathroom Toilet Rail; Tool-Free, Easy to assemble in 2 minutes; much quicker than the competition. 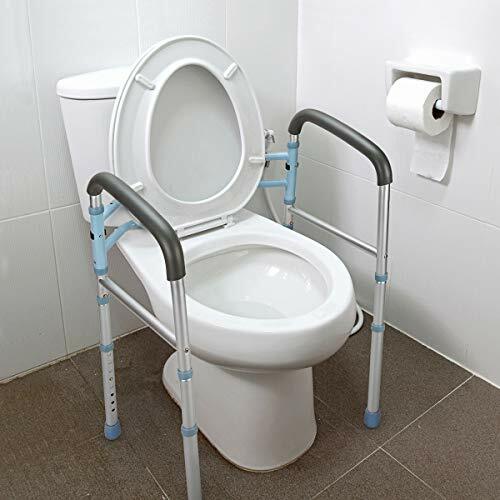 Sitting and Rising Aid This free-standing bathroom safety frame provides a stable support for users to sit or rise from a commode. Ideal for seniors, handicapped or those with arthritis and/or those recovering from injury/surgery. This safety rail prevents accidental slips or falls, common in the bathroom. Padded Grip and Non-Slip Tip Toilet handrails are padded with a soft rubber for superior support. 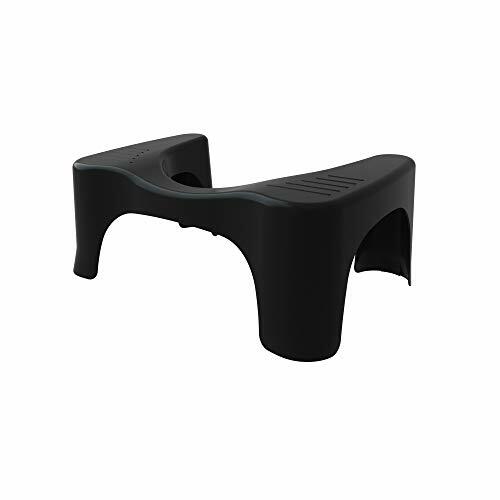 The textured rubber handles create a comfortable, non-slip surface for a safe and secure grip when sitting or standing. Each outside leg is capped with a non-skid, non-slip tip for a safe and secure experience. 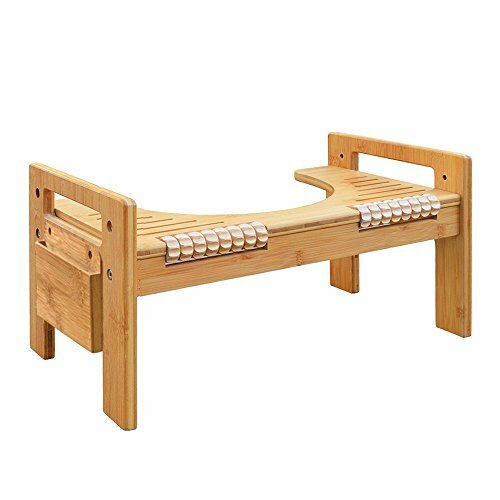 The Vaunn Medical Deluxe Bathroom Safety Rail provides sturdy support for individuals who require assistance getting around the bathroom or sitting and standing up from the commode. Elderly or individuals with limited mobility, arthritis, balancing issues, back or knee injuries will now be able to use the toilet independently. Engineered with safety in mind, its high-strength, durable steel frame is able to support users weighing up to 300 lbs. Its secure padded grab bars and anti-skid rubber tips also work to prevent falls in the bathroom. 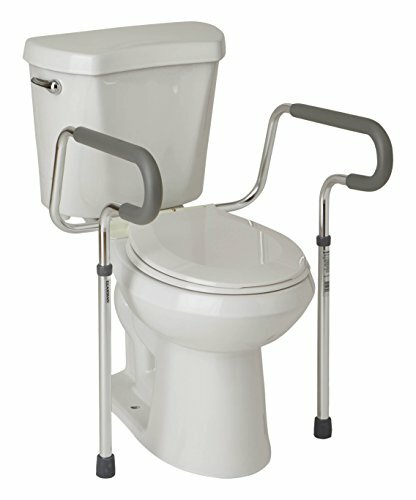 This free-standing unit is tool-free and easy to assemble and will work on all types of commodes (i.e. round, elongated, one-piece etc.) This is a versatile product with a height adjustable feature and can be used in any part of the house (i.e. living room, kitchen and bedroom). 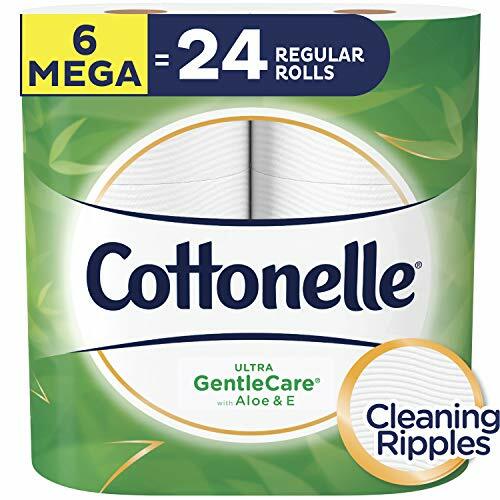 It is one bathroom safety product that will help you get around the house safely and independently. 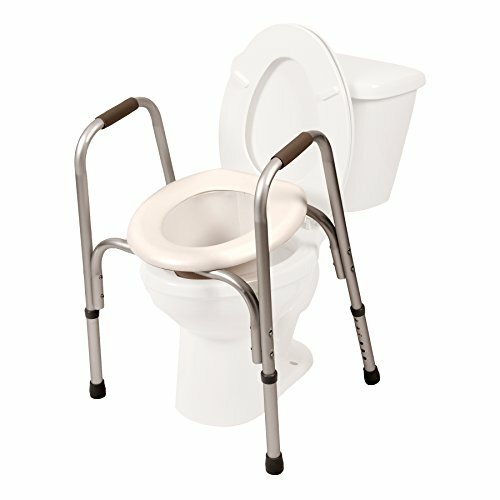 SITTING & RISING AID - This free-standing bathroom safety frame provides a stable support for users to sit or rise from a commode. Ideal for seniors, handicapped or those with arthritis and/or those recovering from injury/surgery. This safety rail prevents accidental slips or falls, common in the bathroom. 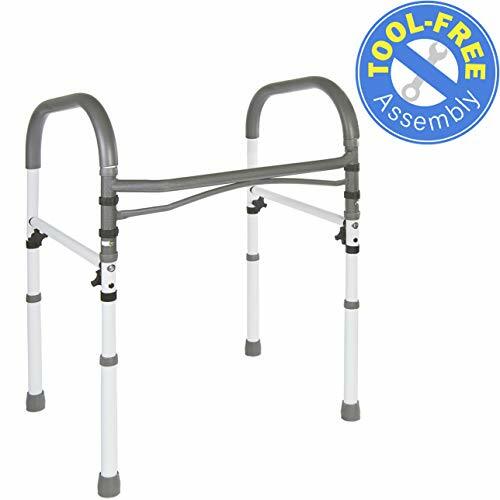 DURABLE & STURDY SUPPORT - Engineered with safety in mind, this high-strength, durable, metal steel frame supports user's weight of up to 300 lbs. Anti-slip padded grab bars ensure a firm and secure grip. HEIGHT ADJUSTABLE- Adjustable height frame adjusts between 27.5 to 33 inches to support users of varying needs. VERSATILE STANDALONE FRAME: Safety rail base is a wide 26.5, easily fitting in smaller bathrooms. Freestanding safety rails can be used with standard and elongated toilets or at the sink or vanity. The bottom rails are 19 deep, adding tip-proof stability to the frame. Extra wide non slip floor pads.Seat measures 13.5 from front to back and 11.75 from side to side. Non slip handles.Opening measures 7 from front to back and 5.65 from side to side. Product Material: 100% natural and eco-friendly 5 years of high-quality bamboo,not easy to crack and deformation. About product: The product is simple and elegant, solid and stable, practical and convenient. Product applicable to the Crowd:The product is suitable for anyone. Notice:The Squatty Potty may feel different at first, but the body quickly adjusts and the new healthy way of eliminating quickly becomes second nature. SQUATTING TOILET STOOL: Reduce constipation, hemorrhoids, straining and bloating, more thoroughly and smoothly emptying the bowel. ALL NEW DESIGN: The newly design with double built-in foot massager can effectively increased blood circulation and pain relief.And designed box for easy placement of mobile phones.With non-slip pad at the bottom, it is safer to use. HEIGHT ADJUSTABLE: Fully Adjustable Height can be adjusted to 7 inches and 9 inches, meet the needs of different height, age, body shape. ECO-FRIENDLY: Made of high quality natural bamboo, can be easily cleaned with cloth, or rinse directly with water, simple and convenient. UNIVERSAL COMPATIBILITY: The whole family (including the elderly, children, pregnant women, etc.) can be assured to use, works with any toilet.